In Paris, the city of fashion, it’s hard to find a more prestigious location than the Colette boutique. 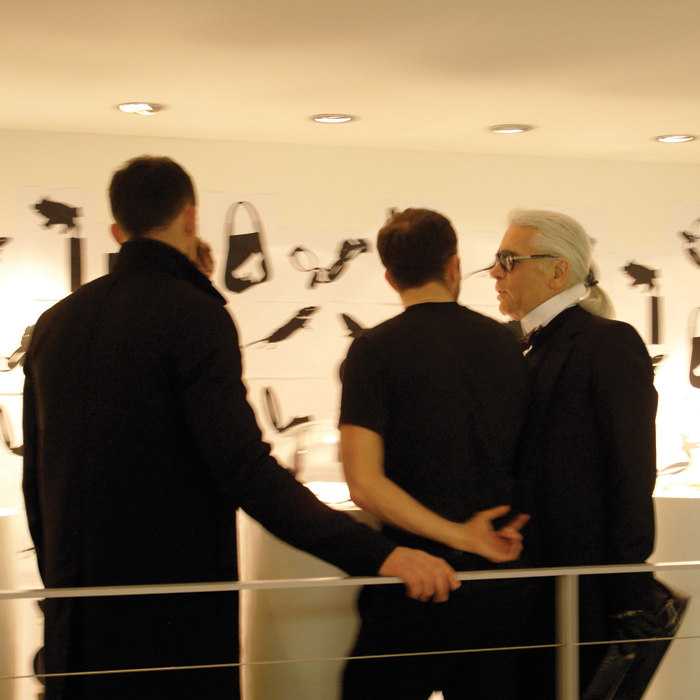 And when Karl Lagerfeld himself drops in to learn more about Atelier Ted Noten’s installation for the display window and upper level at Colette, it’s fair to call it a successful debut. 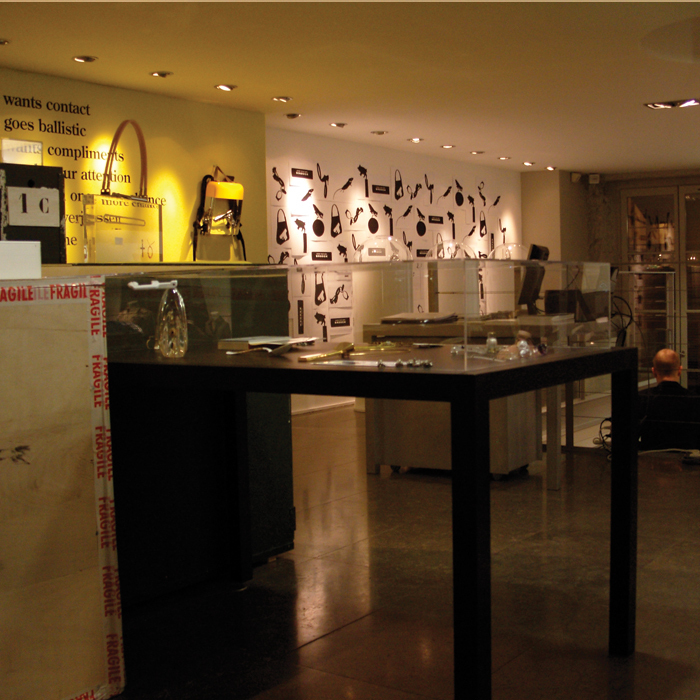 In the winter season of 2007, this trendy shop for fashion, accessories and modern gadgets displayed a broad range of Ted Noten creations: various acrylic bags, silver earrings, a range of Fred pendants and the Custom Jewellery collection. 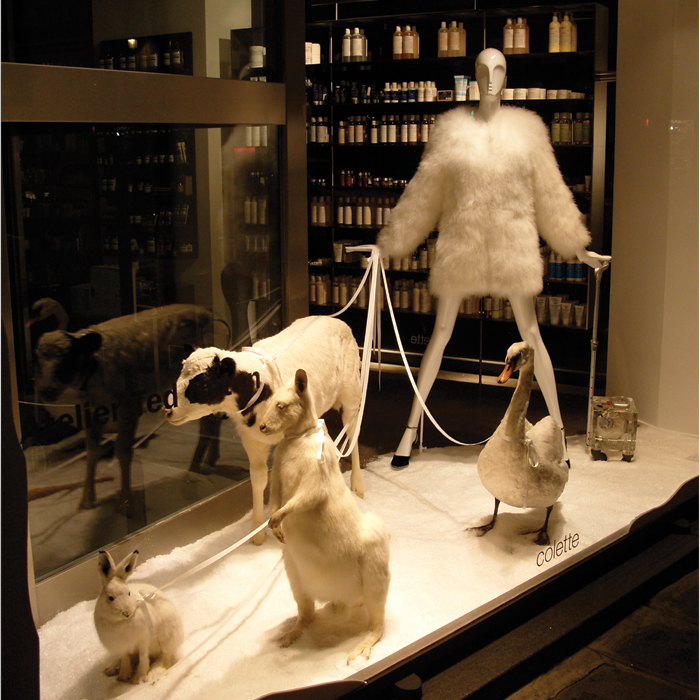 But the pièce de résistance was the Christmas window display, a scene of a woman out walking with a bizarre collection of animals: a swan, a rabbit, a lamb, a kangaroo and a pigeon, all as white as snow, like their keeper. In her free hand, the woman held one of Noten’s trolleys: A Split Second Before Exploding (2007), which has since been added to the collection of the Stedelijk Museum Amsterdam.